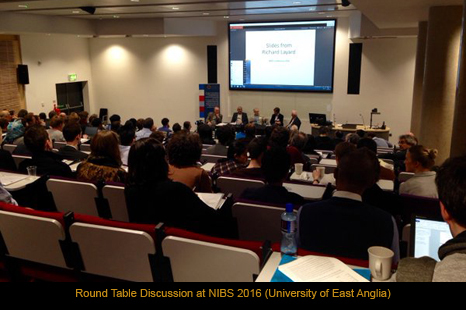 The Network for Integrated Behavioural Science (NIBS) is a partnership among the Universities of Nottingham, Warwick and East Anglia. It is funded by the Economic and Social Research Council (ESRC) until September 2021. We are a cross-disciplinary group of researchers who develop and test models of human behaviour and behavioural change, and draw out their implications for the formulation and evaluation of public policy. What can the consumer credit sector expect from the FCA? 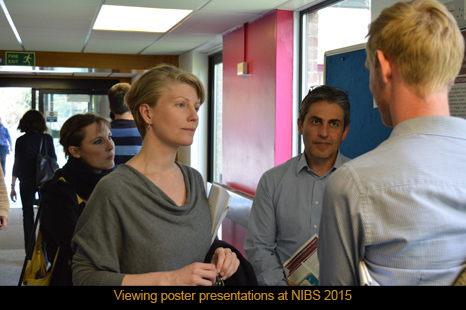 Look for previous news items or check out Twitter (@esrcnibs). 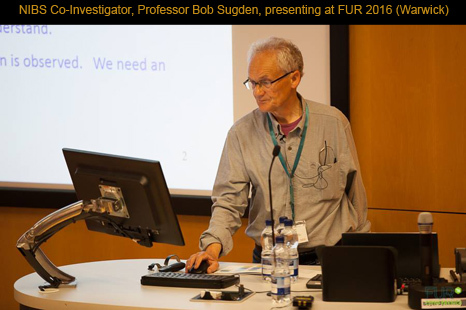 We no longer maintain our blog but you can still read historical posts onlne, or why not check out UEA ECO blog from our partners at East Anglia. 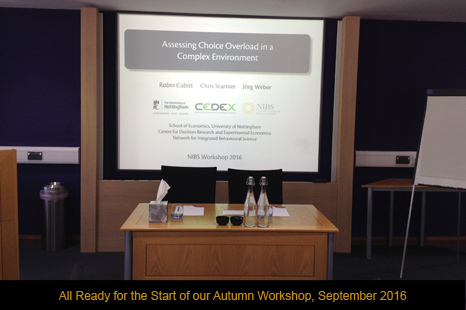 Our next internal workshop will take place 18-20 September 2019 at the University of Warwick. This annual workshop is for NIBS funded colleagues and close collaborators to share their research results, network and advance further collaborations. 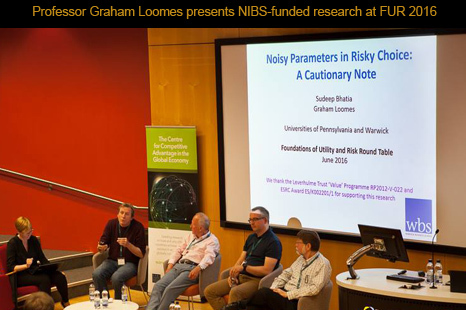 You can view the programme here from our first NIBS 2 workshop which took place 17-19 Sept 2018 at the Orchard Hotel, Nottingham. The Center for Behavioral Decision Research at Carnegie Mellon University in Pittsburg hosted a conference 15-17 Sept 2017 at which NIBS, Leverhulme ‘Value’ Programme & CMU colleagues came together to discuss research tailored to meet the needs and interests of our group. View the CMU programme. Details of our previous events and workshops, together with copies of the programmes, can be found on our Events and Conferences page. 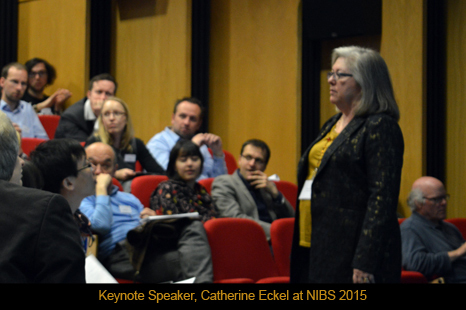 To keep up to date with news from the Network for Integrated Behavioural Science (NIBS) please join our mailing list. 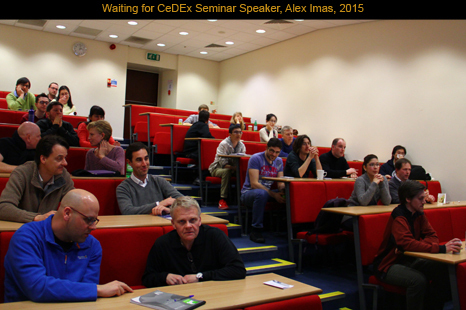 The Centre for Decision Research and Experimental Economics (CeDEx) hosts a regular seminar programme. It also has an active Discussion Paper Series. Read more about bidding for NIBS funds in our 'small grant' scheme. See who's who at the Behavioural Science Group, University of Warwick and view BSG upcoming events on their website. 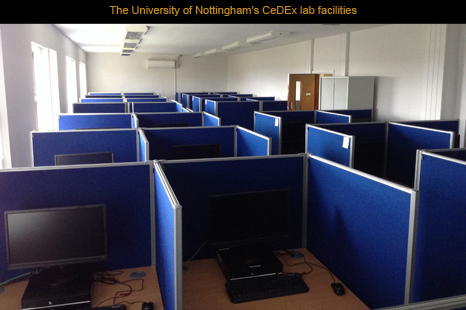 View Working Papers from the Centre for Behavioural & Experimental Social Science (CBESS) at the University of East Anglia. Learn more about the Center for Behavioral Decision Research at Carnegie Mellon.